People and Their Pens – Write with us! We know what a profound impact a beautifully crafted writing instrument can have on the perfect letter, or on a journaling experience, but what we hadn’t realized here at TT Patton was that a vintage fountain pen could resurface so many fond memories. The after photos of Carly’s gorgeous sterling-nibbed Easterbrook. 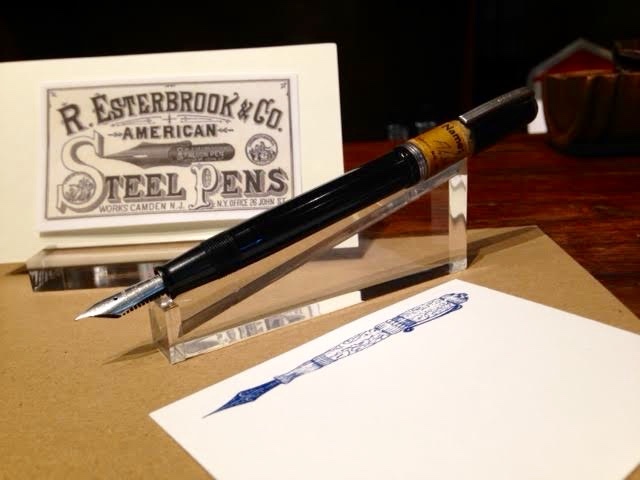 Carly, our very first participant in our free fountain pen cleaning promotion this month brought in her mother’s vintage Esterbrook pen, one that hadn’t worked in several decades. Carly spent some time with us, sharing the story of her pen, and we spent some time researching the craftsmanship behind Easterbrook for her, while we restored the pen back to working condition. 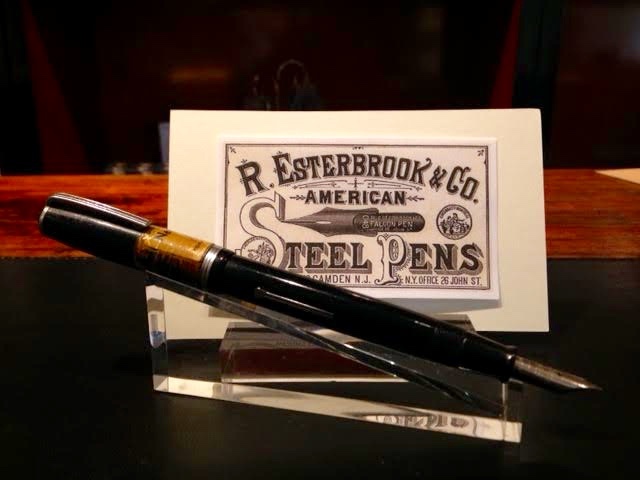 What we discovered about Esterbrook’s history was almost as intriguing as the story behind the fountain pen itself. The name Alma has been on this pen as for as long as Carly can remember. Esterbrook’s been producing high-quality American-made writing instruments for more than 150 years now, and this particular pen, equipped with a sterling silver nib and a plunger filler, turns out to be one of the rarer finds. The worn name band wrapped around the pen’s cap reminded Carly that this was the pen her mother, Alma, took to work with her every day, and wanted to be certain it wouldn’t be taken by anyone else. Have writing instruments with a story? Share them with us by bringing in your vintage, or near and dear fountain pens August 1st-31st and we’ll get them flowing for you again.